Self-advocate Shane Hargest was asked earlier this year by the Center for American Progress & The Arc of the United States to participate in a video highlighting the importance of Medicaid and how taking it away can affect the lives of thousands of people, specifically those with disabilities. We sat down with Shane to learn a little bit more about his experience since being a part of this video. 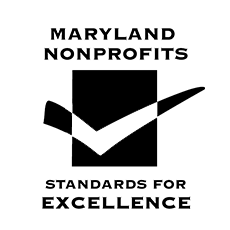 “Without Medicaid, I wouldn’t have the opportunity to get medicine or staff support at home and in the community, and everyone in my family would have to take care of me,” Shane shared. “My mom and two brothers would have to give up their own lives to spend all of their time at home with me.” Shane’s staff person, Anthony, has been working with him for three years. He is with him every week day, and some weekends depending on Shane’s family’s schedules. When Anthony is there, he helps Shane with his personal care and getting ready for the day. He also accompanies him to physical therapy, work, and anywhere else he may need to go. 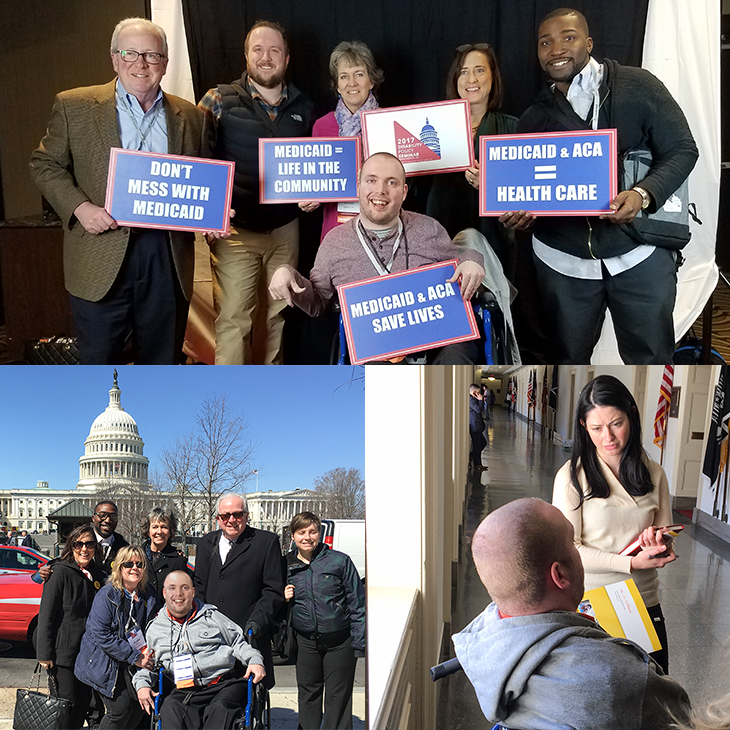 In the video, Shane and others, shared the important role that Medicaid plays in their lives and how their lives would be negatively affected if it were to be taken away from them. Because of his involvement in the video, Shane was invited to the Center for American Progress’ event, “What’s at Stake for Americans with Disabilities in the Trump Era.” At this event, attendees heard from a keynote speaker, as well as panelists, about the importance of Medicaid for those in the United States with disabilities. Shane was very thankful to have the opportunity to attend this event. “I liked it because I got to hear other people’s stories,” Shane told us. 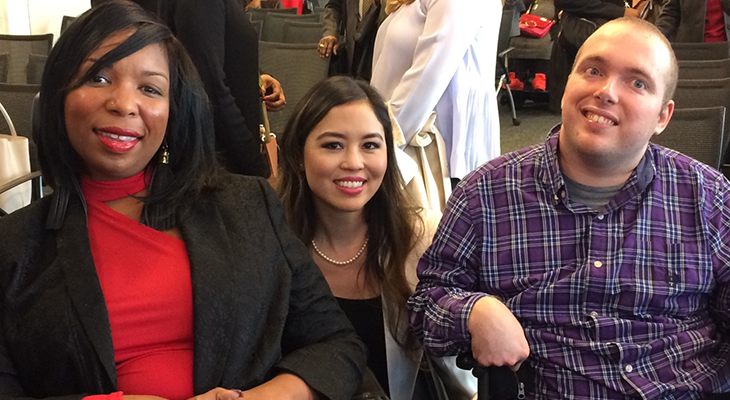 Andraéa LaVant, Marta Conner and Shane Hargest at CAP’s “What’s at Stake for Americans with Disabilities in the Trump Era” event. Following this event, Shane also participated in the Disability Policy Seminar in Washington, DC. He was invited by the Center for American Progress and The Arc of the United States, and he was very excited for the opportunity. Shane heard other’s stories, and shared his own. A woman from Chicago approached Shane because she recognized him from the video project. “Thank you for all that you’ve done,” she said, “I have a son and daughter who can’t speak, but you said what they were thinking. You had your voice heard. Thank you so much.” This made Shane very happy because he knew that he had made a difference in someone’s life. Advocates from The Arc Baltimore descend upon Washington for the Disability Policy Seminar. On the third day of the seminar, Shane had the chance to speak with a member of Representative Andy Harris’ staff. “I gave her my story straight up,” Shane shared. “People who are not in my or Anthony’s shoes don’t really know what it’s like at all,” he told her. When the staff member asked Shane what he thinks will happen if Medicaid is cut, he responded and said, “People will die. Ten or fifteen years from now these people won’t be here anymore because they won’t have access to the medication or the care that they need to live their lives.” Shane was grateful for the opportunity to speak with Rep. Harris’ staff, and he hopes that what he shared with her will have an impact.